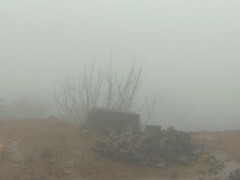 The magnificient view @Tala Kaveri 😉 The fog was so dense when we were going uphill that for a brief while, visibility was less than 5-6 metres. The one thing I never understand about the sources of these rivers is where do the rivers disappear after they begin? I mean, there’s nothing there, not even a stream. 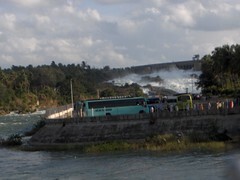 So, why exactly is that spot the origin of the Kaveri? I remember when I had gone to Nasik a long time ago, nearabouts where the Godavari is said to originate, there was no way to understand the logic of that origin either. Anyway, who cares. It’s high enough, and in a less touristy age, it must have been spiritual enough. Another holidaying weekend. 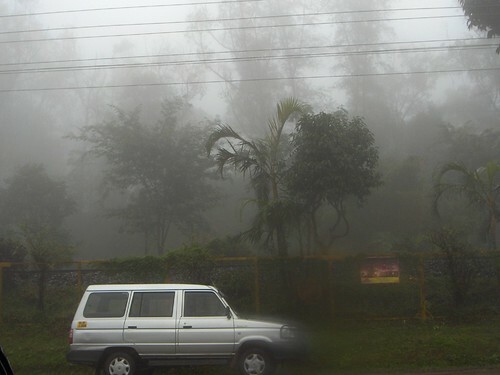 This time, gallivanting around in the rains at Coorg. Not what I had planned for, but good nevertheless. It rained, and rained and rained, but there really is no sight better for the senses, than a luxuriously verdant landscape. They call Coorg the Scotland of the east, but to me, it was more Kerala than Kerala itself. Even the language is so Malayalam like. I guess, about 60%-70% of the words are Kannada, but the way they speak, the intonation is all Malayalam. The one thing I missed though was walking/trekking. We did a short 2 km walk on Friday, and all the way, we were more worried about the leeches (I killed about 10 in all, I guess), that any joy that was to be had from two of the most pefectly well-behaved guide dogs you could hope to see, and the vegetation all around, was lost. The best time to visit, I guess, is late October or so, when the rains have died but the land is still as green as it can get. Maybe, we will head there again, around about then. Probably, the first time, I have followed up one holiday weekend with another. 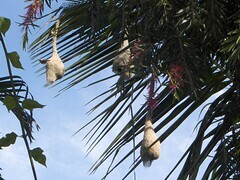 A microcosm of our Coorg experience. You can see it peeking out…My first bird pic, of any significance, I guess. Anyway, no more pics for now. 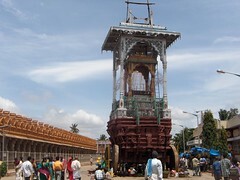 The huge theru (chariot) at the Nanjangud temple.